If we know one thing to be true, it’s that good nutrition can be the answer to many of our common health problems. Obesity and heart disease, for example, are leading causes of death in the United States, and nutrition can often successfully treat these. So what about Alzheimer’s disease? As it turns out, you may be able to decrease your risk of developing Alzheimer’s by changing your diet, and there are a couple of hypotheses as to why diet may affect the progression of Alzheimer’s. The first is that good nutrition typically leads to good oral health. Why is oral health important? Periodontitis, or gum disease, is a strong source of inflammation in the blood, and research shows that inflammation may be a key factor in the development of Alzheimer’s. On the other hand, poor nutrition in itself leads to chronic inflammation as well as insulin resistance, which may also have a role in the development of Alzheimer’s. This powerful green is loaded with vitamins and nutrients to boost any diet. Just half a cup of spinach (sauteed or boiled) contains 131 mcg folate (1 cup of raw spinach contains 58 mcg of folate). A study in France found that increased folate intake was strongly associated with a lower risk of dementia later in life. If spinach isn’t your thing, you can also try Brussels sprouts or avocado. They aren’t as rich in folate (78 mcg in ½ cup of Brussels sprouts and 59 mcg in ½ avocado), but every little bit counts! 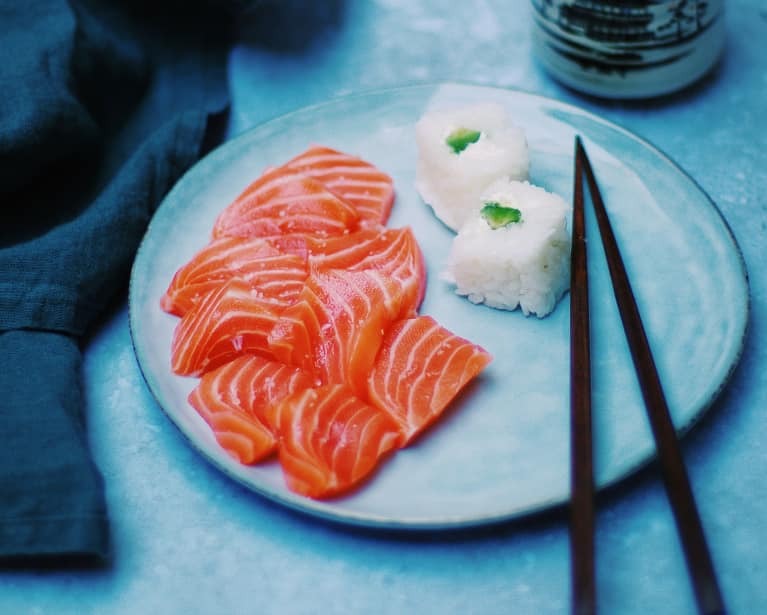 A key ingredient in the Mediterranean diet, salmon is a significant source of both omega-3 fatty acids and vitamin B12. Several studies show that the Mediterranean diet may be key to reducing the risk of cognitive impairment, specifically Alzheimer’s. One component of this diet that may be responsible for the reduced risk is omega-3 fatty acids. Salmon is an excellent source of these, with anywhere from 500 to 1,500 mg of omega-3s in a 3-ounce serving. In addition, the ample vitamin B12 (4.8 mcg per 3 ounces) in salmon, which when taken along with folate, may be important in the prevention of Alzheimer’s (hint: Try salmon and spinach together!). Fermented foods come in a variety of forms (pickles, kefir, kimchi, yogurt, tofu, etc. ), but the point here is to increase your probiotic intake. Probiotics are bacteria that help to increase the amount of beneficial bacteria in your gut. You can find these in supplement form, or naturally in fermented foods. There is some research to suggest that altering the gut microbiome may slow the progression of Alzheimer’s, as well as have an effect on cognitive function and some biomarkers of stress related to Alzheimer’s.